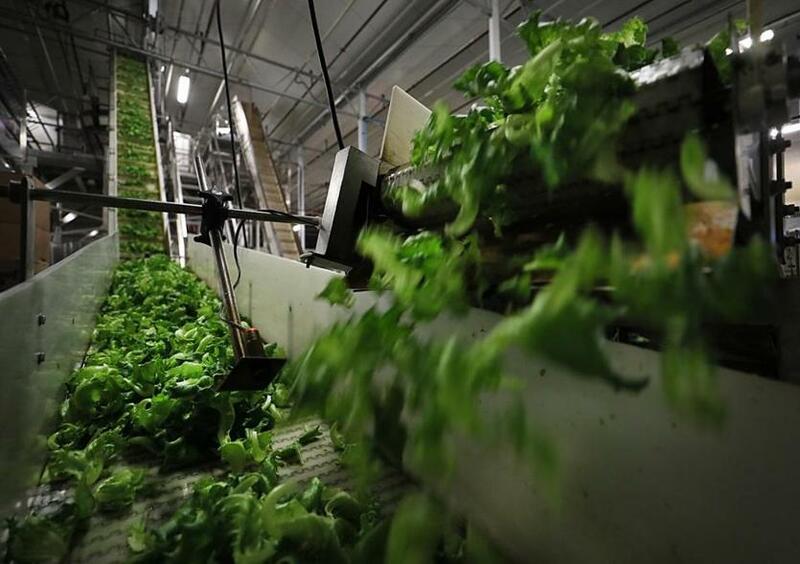 The future of safe food is growing right here in N.E. 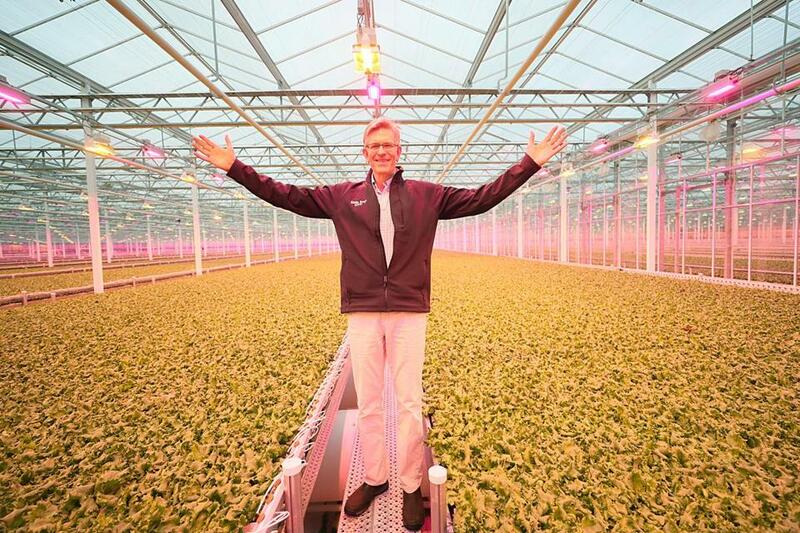 Little Leaf Farms founder Paul Sellew stands amid lettuce growing in the company’s greenhouse. 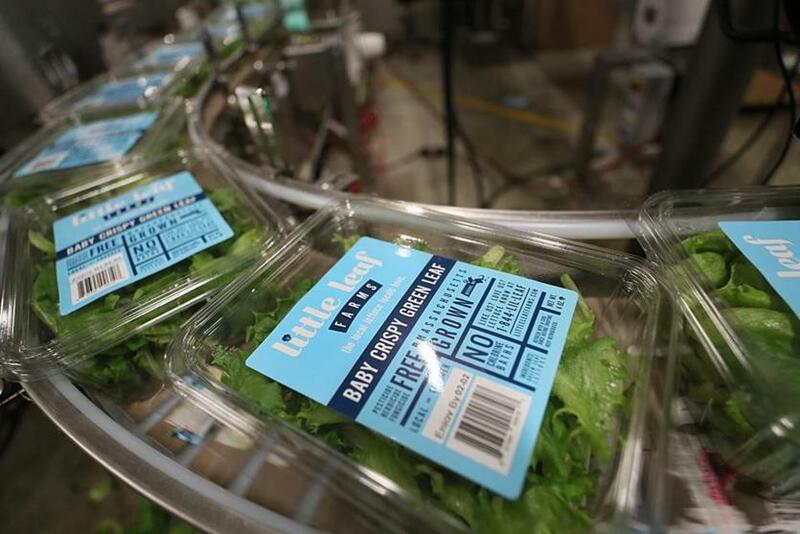 Little Leaf Farms lettuce is packaged by hand and immediately goes into a cooler where it briefly stays before being shipped. 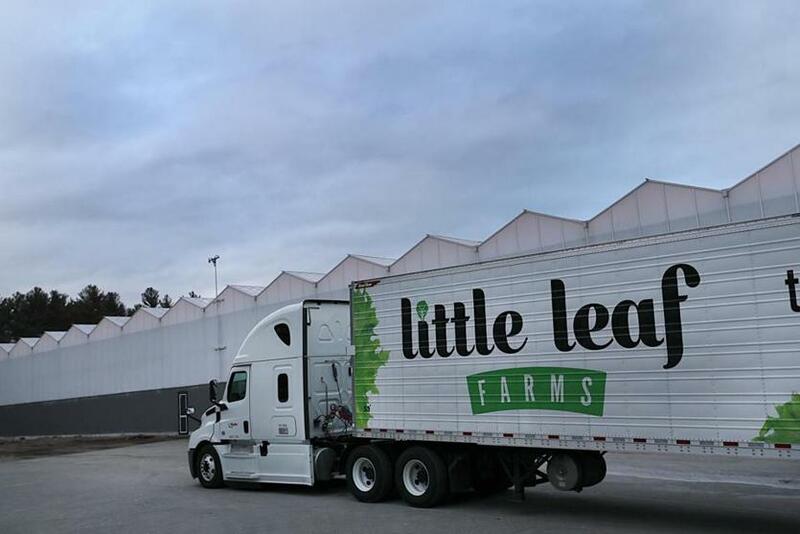 Little Leaf Farms keeps its lettuce chilled all the way through shipping and into the grocery. Alison Arnett can be reached at arnett.alison@gmail.com.